Two pioneering couples are determined to survive and succeed in this near-future technological drama of the first permanent lunar colony. Survival and success require sacrifice. Some sacrifices are greater than others. Sometimes surviving is success enough. Every frontier, every new world, tempts and tests the settlers who try to eke out an existence there. 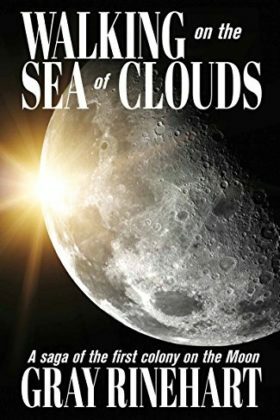 In Walking on the Sea of Clouds, a few pioneering colonists struggle to overcome the unforgiving lunar environment as they work to establish the first independent, commercial colony on the “shore” of Mare Nubium, the “Sea of Clouds.” What will they sacrifice to succeed—and survive?